Shopping around for Air Conditioning Installation in Livermore, Pleasanton, and Dublin, CA can be a tedious endeavor, you need both quality installation and the right product, but you don’t want to spend a fortune. 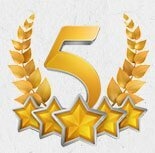 The good news is Superior Mechanical Services, Inc. has been helping residential and commercial customers experience the comfort they deserve at a reasonable price since 1948. Let us help you through the process of an Air Conditioning installation in Livermore, Pleasanton, and Dublin, CA minus the hassles. We carry the best brands, find you the best deals, and install your new equipment with complete accuracy. Are you ready to slash your energy bills down to something more reasonable? Let us help you through the world of SEER ratings, ductless, and central air models to find the right option for your needs. Advances in both central air and ductless AC mean greater efficiency and more power, letting you cool your home for less money than before and quickly paying for the installation costs. Don’t put money towards fruitless repairs on an older air conditioner when you can get better reliability and efficiency from a new model. If you’re not sure if it’s time to replace your old AC, let us take a look and see if it’s worth waiting a few years or investing today, we’ll give you the numbers to see what makes the most sense for down the road. At Superior Mechanical Services, Inc., you are the decision-maker. We start by listening to your goals and then gathering information about the size of your home, number of rooms and family members, and if you have any allergy concerns. We’ll put together the pricing and the models that make sense so you choose the best option without an overwhelming list of options. Our technicians are certified professionals who will ensure every part of the installation is done right using a careful checklist to guide and test each step. At the end of your installation appointment, we’ll show you how to get the most out of your new AC and give you tips on maintenance so it lasts. 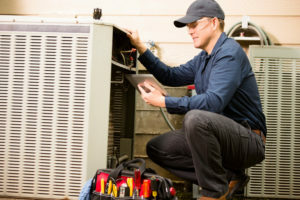 Whether you’re considering Air Conditioning installation in Livermore, Pleasanton, and Dublin, CA or looking for a second opinion, be sure to call us at 925-456-3200 or 888-544-4111. Contact us today for Air Conditioning installation in Livermore, Pleasanton, and Dublin, CA!